I recently had a member ask me this question and after some research found a number of answers. All were interesting. 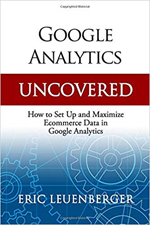 The question we are looking to find an answer to is “how can we track traffic arriving from Google’s Product Search separately from all other traffic within Google Analytics?” For those of you not familiar with it, Google’s Product Search provides product based results on items that are loaded through Google Base accounts. Here are two main options I found for accomplishing this. The first option is a quick way to use filters in GA to segment the traffic. This option might be best for sites that have a lot of product linked urls listed in Google Product Search. The second method uses url tagging (we talked about this in recent posts) and can be arrived at two different ways and although works, might not be the best if you have a lot of urls to change. Knowing this we can setup a filter using the Referrer field to differentiate between the two and then use the Source field from within Analytics to view the data based on referrer. Field A in our filter looks for a Referrer like one of the Google URLs shown above. Field B limits the data returned to only organic searches (AdWords ads can appear on the Google Product Search pages also, and we don’t want to mess up that reporting). The Output To section actually changes (or rewrites) the Source to “google base” instead of just “google”. If however you have lot of product URLs to tag and want a better way of doing it then the following might be a better option. This method uses the same concept I had introduced in previous post on using Google’s URL Builder to for tagging. The components that are going to let us get segmented reporting on the traffic from Product Search within Google Analytics are source=google and medium=base. We are going to use the native Excel format for the feed to address the tagging. 5. Copy the cell formula all the way down to cover all of your products so that all of them having the tracking added. 7. Delete the columns you’ve just created so that you only have the ones you started with. 8. Paste in all of your new URLs over the top of the old ones – you have to do this in order to get the spreadsheet back in a format to be uploaded – the extra columns will be rejected. 10. After a day or two, log into Analytics and go to traffic sources. You should be seeing traffic from Google / Base showing.